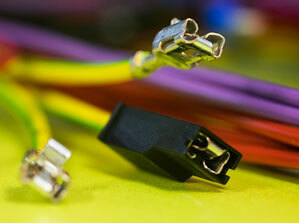 Rimaster is a leading provider of signalling and power cabling to demanding customers in a range of industries. We have acquired experience in developing and manufacturing wiring harnesses for tough environments and have obtained the confidence of leading manufacturers of trucks and machinery for the mining industry, as well as for agriculture and forestry. We specialise in complex, customised comprehensive solutions that simplify our customer’s development and production processes. Rimaster’s global presence and manufacturing facilities in Europe and China facilitate our being able to offer both small volumes with high flexibility and large series – all according to customer requirements. 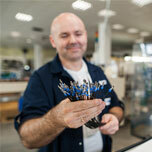 Rimaster has a broad range of development skills and designs all or part of the cabling according to customer demand. We have extensive experience in developing the cabling directly from the 3D drawings provided by our customers for perfect adaptation and faster production. Combined with our comprehensive manufacturing capability, we are able to provide our customers with high quality and cost-effectiveness. Rimaster also has many years’ experience of cooperation with several of the world’s leading manufacturers. This means that we can offer high delivery reliability and quality at competitive prices. And it also means that our customers have unique opportunities of benefitting from supplier innovations. Rimaster employs modern manufacturing processes and access to the latest technology, including that applicable to crimping, braiding and injection. Rimaster has comprehensive quality work routines and is a supplier to a number of the world’s most demanding customers in this field. We have full control over our development and manufacturing processes and employ a high degree of automation and well-trained staff. Our manufacturing units are all certified according to ISO 9001 and ISO 14001 as well as IPC and we have several UL approvals for processes and products.